Ghent is the capital and largest city of the East Flanders province with its rich history and is the second largest municipality in Belgium. It is one of the most charming towns we have ever seen. Ghent located around 60 km from Brussels, and it will take approximately 50 min to go by car or about 40 minutes by train. 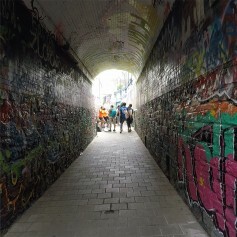 Although Ghent is a large city, it is possible to explore its center walking within one day along cobblestone streets. Once we arrived at the center, we were pleasantly surprised by the beauty of each corner. 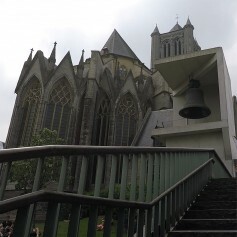 And here are the things to do in Ghent that we discovered during our visit. 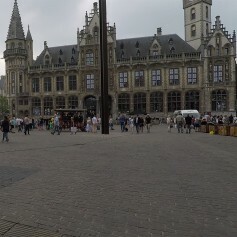 I would love to see Ghent one day. I love all the old school architecture. It looks so magical. We know the city because we have been here 2 years ago and we love it so so much!! This city is so pretty and there are so many activites to do. Such an informative post, and the pictures are absolutely beautiful. Love it. I'd love to visit Ghent one day. I've been to other places in Belgium, but not yet here. Great travel ideas! I would love to try the Belgian Fries with Beef Stew and Mayo! It sounds very interesting! 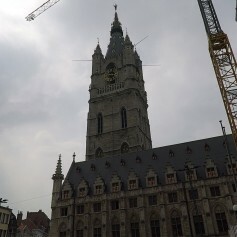 I have been to Belgium a few years ago but did not go to Ghent and glad to learn it here. I was only in Brussels for a few days. Your post very details and has good write up on all the landmarks that I should visit. 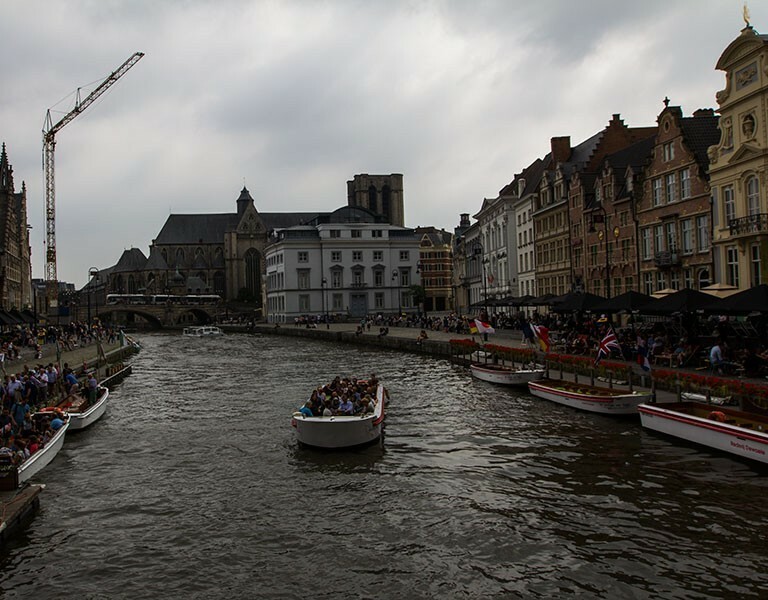 My most wanted to do is take a boat trip from Graslei and Korenlei and I think it is the best way to learn about the history of Ghent. 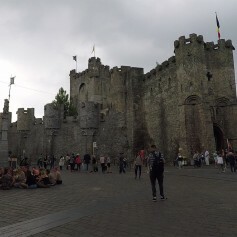 I've never heard of Ghent before but I love places like this that are full of history! Thank you for providing such a great background. 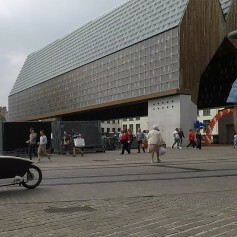 Ghent sounds wonderful! I think walking around the city would be the best way to experience it. There seems to be so many historical sites to take in. I'd love to try "real" French fries! I have never been to Belgium before! Ghent sounds like an incredible place to visit. I would love to visit Belgium one day. I'll have to remember those fries; I've never heard of them served with mayonnaise! Am planning to travel to Belgium, and this guide came at the best time. Thanks. Thank you for sharing with us a few of the things to do there. It was a fun read and as I go through one picture and description from another, I imagine my family and I having fun and enjoying the trip. 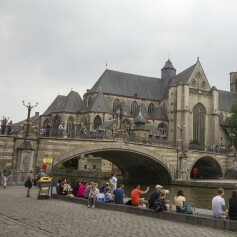 I would love to visit Ghent one day with my family. It looks like there is plenty to do, I'd especially like to visit the castle. this looks like a great city to visit. thanks for all the info! Wow - that looks like an amazing place to visit. I would love to go there someday. The castle is something I'd be interested in visiting. Everything looks fun to explore. So I've never been but my husband has and he keeps telling me we need to go soon! Beautiful. I have yet to visit Belgium. I love boat trips so this my kind of trip. There's so much to see. Thanks for compiling this list of things to do out there. 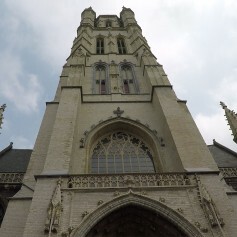 Saint Bavo's Cathedral looks amazing and what a fab destination to explore! Love your travel tips! I have never been to Belgium even that I'm not very far from it! 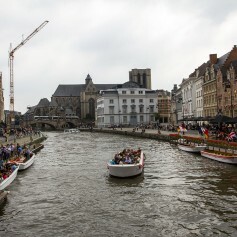 These are excellent suggestions of things to do in Ghent, I'd love to go there!